We made space in the cabinet, got rid of some old pants, and replaced them with the uniform; luckily not all space got taken by the uniforms. We made some ‘Jacobs’ to fill the empty spaces. The short version suits us best. 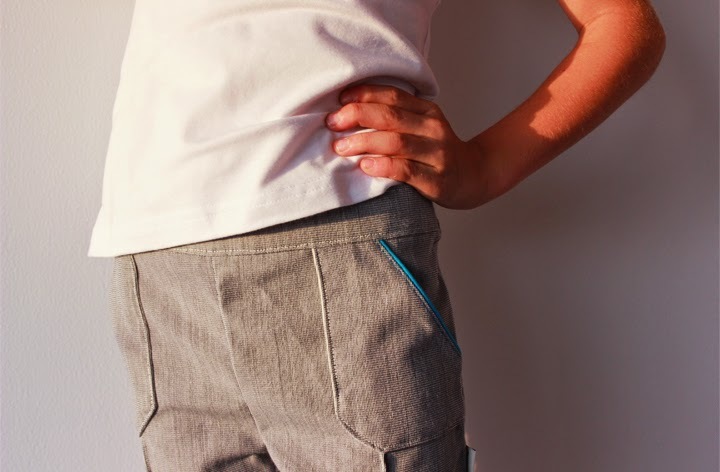 A grey version with blue piping on the pockets. 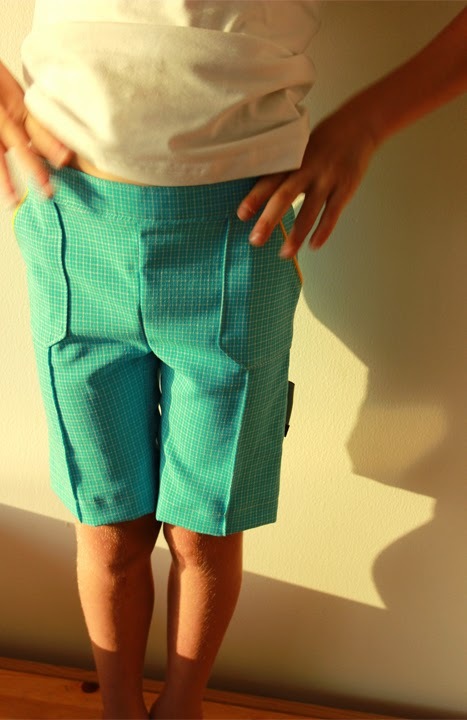 A sea blue one with yellow piping on the pockets. A blue dark blue one with yellow piping on the pockets. 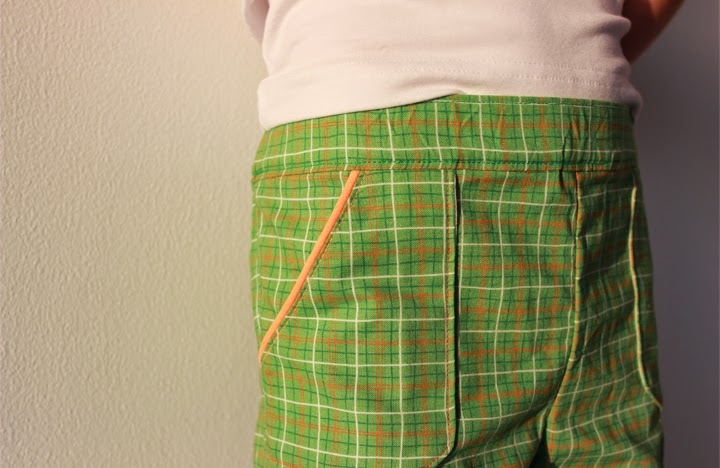 A green one with neon orange piping on the pockets. 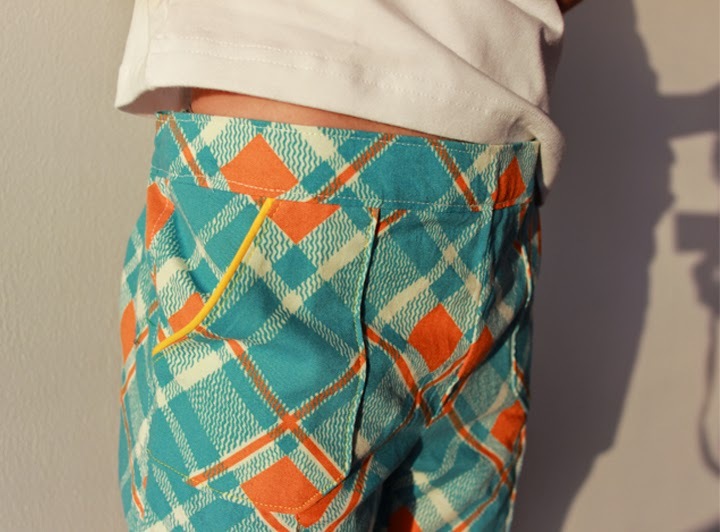 A blue one with white/orange squares and yellow piping on the pockets. Elias additionally asked for a macho short version. 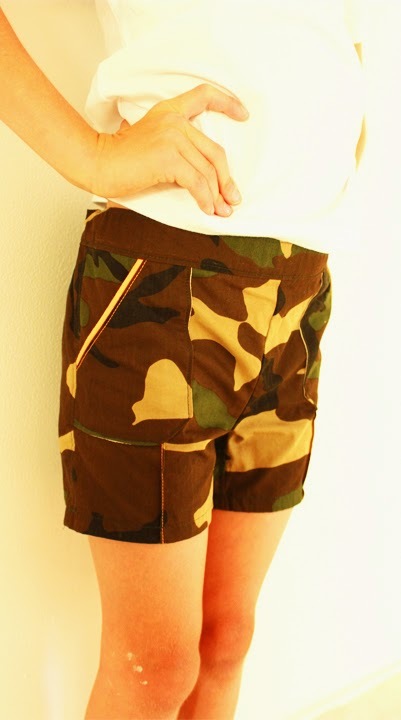 He got one in camouflage fabric with neon orange piping on the pockets. Three shorts per son, to make sure I can skip ironing once and a while.